It's Been Quite A Year! - Walters Group Inc.
As we near the end of the year, we’ve been reflecting on all of the incredible projects we’ve had the opportunity to work on in 2017. Regardless of the industry, size or complexity, we always bring the same passion and commitment to every project we take on. 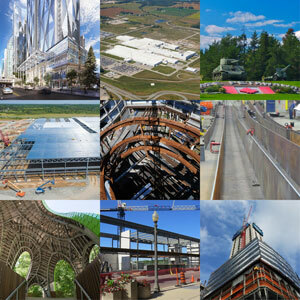 For us, each project is about more than just steel. We understand that the work that we do touches the lives of people every day. Building facilities that help create jobs. Creating spaces for communities to gather. Supporting how people move. Inspiring people through art and architecture. Changing skylines. We would like to send a heartfelt thank you to all of our clients and partners for placing their trust in us and look forward to another incredible year ahead! Here’s a list of some of the projects we’ve been working on in 2017. Be sure to follow us on Facebook, LinkedIn, Twitter and Instagram to see what we’re up to in 2018!